Most leaders try their best to project a good image to others—which is not always a bad thing, since it’s important for people to have confidence in their leaders. But some men and women in positions of leadership definitely do go to extremes these days. In fact, on the very day I was preparing this homily, I happened to hear that Kobe Bryant—the recognized leader of the Los Angeles Lakers basketball team—had a manicure and a pedicure between games 1 and 2 of this year’s NBA finals. I don’t know if that made him play any better—I don’t know if it helped him to lead his team more effectively on the basketball court—but it did make him “look better” to the fans and to his teammates (at least he thought it did)! The danger, of course, in all this is that a person’s image becomes more important than his ability and moral character. I’ve met people, for example, who don’t know the positions of John McCain and Barak Obama on any of the crucial issues facing our nation right now, and yet they’ve already decided which of the two they intend to vote for in November! How different St. Peter and St. Paul were! Here we have, arguably, the two greatest leaders in the history of the Church, and yet what has to strike you when you read the Scriptures is how brutally honest they both were about their own weaknesses and failings. Peter also wrote two New Testament letters. He begins the second one with these revealing words: “Simon Peter, a slave and apostle of Jesus Christ.” Simon, remember, was his name before he met Jesus; it was a name that signified for Peter his human weakness. So even though he was now Peter, the first pope and the Rock upon which the Church was built, at the same time in his own mind he was still “Simon”—the weak, frail, human sinner. And yes, he was an apostle—the chief of the apostles—but at the same time he was also a “doulos”—a slave (something he also mentions here). Obviously St. Peter was not obsessed with his image! No manicures or pedicures for him! And neither was St. Paul obsessed with his. In fact, in 1Timothy, chapter 1, he says of himself: “I was once a blasphemer, a persecutor, a man filled with arrogance”; a little later on in that same chapter he calls himself “the worst of sinners”. That was not unusual for Paul. He does something similar in 1 Corinthians 15 and in 2 Corinthians 12. These two great apostles were humble, and honest, and “real”—all of which makes their message about Jesus Christ much more credible, I would say! If they had been dishonest about themselves and had denied their own sins and failings, I’d suspect that they were also being dishonest in some way about Jesus. But since they were completely up front about their own moral and spiritual “warts,” I’m inclined to believe that they were also being completely honest in what they said about Jesus being the all-perfect and all-holy Son of God! So today’s lesson is simple: We should not be afraid to admit our mistakes, weaknesses, and sins to others when it’s helpful and when it’s appropriate—even when we’re in positions of leadership. Now please don’t misunderstand, I’m not saying that we should make public confessions to everyone we meet on the street—that would be imprudent and downright foolish! But we all need to say we’re sorry from time to time—especially to those within our own families. That’s one setting where it’s most helpful and most appropriate to come clean about our sins and failings. As we are all well aware, nothing undermines and destroys a family as quickly and as effectively as unacknowledged and unrepented sin! But even beyond those situations where forgiveness and reconciliation are necessary, the fact is we all need a little guidance from time to time. We need to share our weaknesses and struggles with other people who have the ability to encourage us, support us, console us—and challenge us when necessary! Keep this in mind: A weakness that is totally hidden and completely denied is very often a scandal waiting to happen! 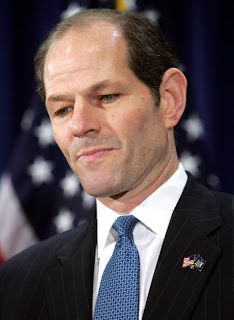 And if you don’t believe me, ask someone like former New York governor Eliot Spitzer. If that man had shared his struggle with sexual temptation with another caring human being who could have helped him deal with it effectively, he’d probably still be governor. He wouldn’t have had to resign in disgrace. Peter and Paul were open and honest about their sins and inner struggles. And it’s that openness and honesty that helped them to become great saints—as well as great leaders. Saints Peter and Paul pray for us: pray that we will follow your example and be willing to admit our mistakes and weaknesses and sins to other people when it’s appropriate—beginning in the confessional, where we receive special graces to cope with our inner struggles, and forgiveness for our sins. If someone said that to you, which teaching of the Church would you choose? Obviously, you would try to pick the one that was the easiest to verify (at least, that’s the one I’d pick!). So which one would it be? The existence of the Trinity; the fact that there are 3 divine Persons in one God? The Real Presence of Jesus Christ in the Eucharist? The fact that Jesus is God? The existence of heaven, hell and purgatory? Original sin, of course, is not like the personal sins we commit every day. Personal sins are either mortal or venial; they are either sins of commission (when we do something evil that we shouldn’t do) or omission (when we fail to do something good that we ought to do). Sanctifying grace is the grace that makes us pleasing to God; it’s the grace we need in our souls in order to get into heaven; it’s the grace that brings life—eternal life. Sanctifying grace: Don’t leave earth without it! This gift of sanctifying grace “overflows” into all of us at Baptism. The problem is the residual effects of original sin remain within us even after we’re baptized! And for this, there’s an almost infinite amount of empirical, visible evidence! Take the daily newspaper, for example! 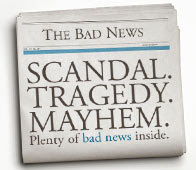 They say that most of the news is bad news—and unfortunately they’re right! And that bad news is almost always caused by human beings doing bad things! To me, that’s evidence of original sin. Look too at the history of the world. In every culture, in every time period, within every group of people on the planet you find acts of violence and hatred and immorality. It’s a universal phenomenon! That’s more evidence of original sin: evidence that evil isn’t something caused by the climate, or by where you live, or by how advanced or primitive your civilization is. The existence of evil in every time and in every place is a very strong indication that all human beings are wounded in their souls and in their spirits—which is precisely what the Church teaches in this doctrine. And finally, look into your own heart. What’s your biggest weakness? Do you lack patience? Are you prone to gossip? Do you find it difficult to be pure or honest at times? Do you struggle with selfishness and materialism? All of that is evidence of the fact that you, personally, are affected by original sin—specifically by “concupiscence,” which is the inclination to sin that remains in us even after we receive sanctifying grace in Baptism. G.K. Chesterton’s article consisted of two words: “I am.” Some people were shocked that this incredibly brilliant author would write something so brief. But it was actually very profound! Chesterton was a man who knew himself; he knew and understood how he personally had been affected by original sin. So if someone ever challenges you to prove a doctrine of the Church, definitely pick this one, because there’s evidence for it all around us, as well as within us. And there’s an added benefit here. Focusing on the reality of original sin when you’re conversing with non-believers can actually be a way of evangelizing them. You see, if you can get people to understand and acknowledge their weakness and their inner woundedness, they will begin to recognize the fact that they need a Savior! And once they recognize that need, you can tell them about Jesus—and Baptism—and sanctifying grace—and eternal life. And chances are they’ll listen to what you have to say. 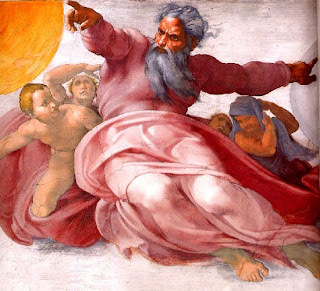 Providentially, on this Father’s Day weekend, our Scripture readings reveal some important truths about the Fatherhood of God—which is the source of all human fatherhood as well as the model for it. It’s clear from this passage: God the Father protects his children; he watches over his children; he instructs his children in the truth; he guides his children in righteousness; and he disciplines his children when necessary. So do all good human fathers—both the natural kind (which so many of you are) and the spiritual kind (like yours truly—Remember, priests are fathers, too!). The call of the Twelve Apostles was a call to spiritual fatherhood! Now all of this is both good news and bad news to those of us who are fathers here on earth. The fact that God is the source of human fatherhood and the model for it is good news for this reason: If we develop a relationship with him through his Son, Jesus Christ, we will be become good earthly fathers ourselves. The bad news is that we’ll never be perfect at it, like God the Father is. And that’s a big issue, because I believe that when children look to their father—either their natural earthly father or their spiritual father in the Church—they unconsciously want to see a perfect reflection of God, their heavenly Father. And there’s no way any of us can measure up! Not completely, anyway. This explains, incidentally, why people almost always have some complaint about their pastor. Even if he’s a nice guy—like me—there will always be some measure of dissatisfaction. 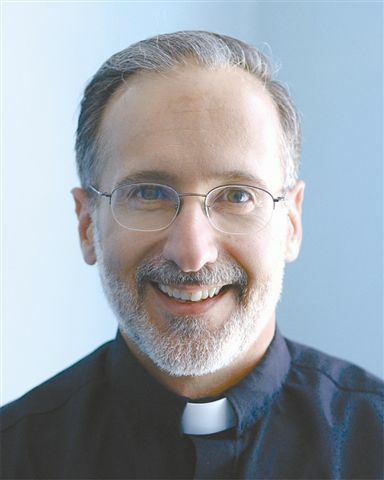 Because deep down inside parishioners are looking for God the Father, and what they’ve got is Father Ray, or Father Greg, or Father Ken—each of whom has their good points, and each of whom has their not-so-good points! And so it is in the family, with natural fathers. Now this may sound strange to some of you dads, because if you go by what your children say, you might think that the last thing they’re looking for in you is perfection! Based on what they say, it can seem like they want you to be permissive, non-judgmental jellyfish, who let them do whatever they want to do. But that’s not the case. Oh sure, part of them wants you to be that way, but deep down inside they desire something different. They want a perfect reflection of their perfect Father in heaven—although they may not ever say it in quite those terms. This came home to me in a powerful way a couple of months ago during a Thursday night youth group with the teenagers. Let me share with you now some of the things that were said that night. I wrote them down as the teens were saying them. These points apply to both mothers and fathers, but today I’ll focus on them relative to dads. What makes a good parent? What makes a good father? Now I’m willing to bet that very few of the 20 teenagers who were there that Thursday night have ever said any of these things to their fathers or mothers! In most cases, their fathers and mothers probably think that they believe the exact opposite of what’s expressed here. Now, dads, I hope you were overwhelmed by these qualities I just read to you—because what these young people are saying is that they want you to be as good as God. And there’s no way you can be. But all of us fathers can be a lot better than we currently are! So today let’s ask God the Father of all, through Jesus Christ his Son, and by the power of the Holy Spirit, to give us dads the grace that we need to move a little bit closer to perfection, a little bit closer to the perfect fatherly ideal that our children are looking for in us. Today’s lesson is on friendship, courtesy of Matthew, the tax collector. However, to understand the lesson we have to be able—and willing—to “read between the lines” of the gospel passage we just heard. When we do this we learn, among other things, what kind of friend Matthew was to others. 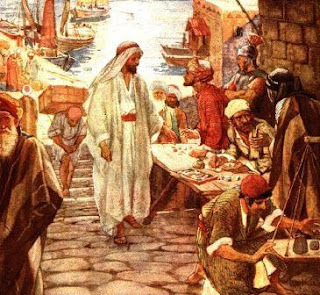 We’re told in this story that one day Jesus saw Matthew at his customs post and said to him, “Follow me.” And he did—immediately! At first it might be hard for us to imagine this kind of scenario happening, but in all likelihood Matthew had already heard Jesus preach and had already seen him perform a miracle or two. In that case his immediate response to our Lord is not so surprising. Then the scene shifts to Matthew’s house, where a big dinner party is taking place involving Jesus and his apostles and many of Matthew’s old friends, none of whom is what you would call “a pillar of the community”! They were, to say the least, a colorful cast of characters. As I reflected on this scene the other day and tried to “read between the lines” of the story, four points stood out to me regarding Matthew as a friend. First of all, he made the difficult decision to follow Jesus in part because he wanted to be a better friend to others. It wasn’t his only motivation for following our Lord, to be sure, but I’m convinced it was there in the background. Matthew knew the kind of person he had been in the past: a lying, cheating tax collector who had gotten rich by ripping off his own Jewish people and supporting the evil Roman government. He also sensed what kind of person Jesus was: holy, merciful, faithful and just. And he realized that if he left his past behind and spent most of his time in the future with Jesus, in all likelihood he’d end up becoming more like our Lord. He would become a better person; therefore he would become a better friend to the people he really cared about on this earth. Secondly, Matthew was not ashamed of his new friendship with Jesus. He didn’t try to hide this fact from his old sinner friends. If he had been ashamed, he obviously would have had two separate parties on two separate occasions: one for Jesus and his apostles, the other for the big time sinners. Thirdly, he desperately wanted his old friends to meet Jesus Christ, his new friend. I’m convinced that’s why he held this dinner party immediately after his conversion. He was extremely excited about this new relationship in his life! He was overjoyed with this new friendship, and he wanted his old sinner friends to experience the same level of excitement and joy in their lives. And finally, he was ready to draw the line, with respect to his old relationships. If Matthew’s old friends had rejected Jesus after meeting him; or worse, if they had tried to undermine his relationship with our Lord in some way, I’m sure Matthew was prepared to “let go” of those old friendships. In other words, if it came down to Jesus or them, he was prepared to choose Jesus. His friendship with our Lord was now the most important friendship in his life; he would not compromise it or throw it away—for anybody! Which leads to the key questions of the day: What kind of friend are you? Are you a friend like Matthew? To answer those questions, you need to go back to those four points I just made about the tax collector turned apostle. I started off by saying that Matthew made the decision to follow Jesus because he knew he’d be a better friend to others by growing closer to our Lord and becoming more like him. I know many people today who hesitate to follow Jesus as completely as they know they should, because they believe that doing so will make them less of a friend to others. And that’s true—it will—if their human friendships are rooted in sin! For example, if your friendship with Joe centers around the fact that the two of you get drunk together every Friday and Saturday night, you will definitely not want to grow close to Jesus like Matthew did, because then you’ll have to stop your wild partying , and in the process your friendship with Joe will completely fall apart! The basis of your relationship—the sin of drunkenness—will be gone. In the same way those who are involved in sexual relationships outside of marriage are reluctant to strike up a deep friendship with Jesus, because if they do they know they’ll have to change their behavior, and in the process the people they’re sexually involved with might walk away. Do I believe, like Matthew did, that having Jesus as my best friend will make me the best possible friend I can be to other people? That can be a tough one—because it ultimately brings into play the fourth point I mentioned. Matthew, I said, was ready to draw the line with respect to his old relationships. If his old friends had tried to undermine his relationship with Jesus Christ in some way, Matthew was prepared to let those old friends go and choose Jesus. Let’s be honest about it, letting go of old friends—even if they’re not the most virtuous of friends—can be very difficult. The second point I made about the ex-tax collector was that he was not ashamed of his new relationship with Jesus. He didn’t try to hide that fact from the other people in his life. If we’re a friend to others like Matthew, then our friends will definitely know how committed we are to Jesus Christ and our Catholic faith. We’ll make sure they do! The temptation can be strong, of course, to act otherwise. In this regard, I recently came across a very powerful witness story written by a young woman named Melanie Welsch. Melanie had a conversion experience in high school and was really into her Catholic faith. But then she went off to college, and decided that in order to fit in, she would need to keep her Catholicism and her friendship with Jesus “under wraps,” so to speak. Nick was the muscular, tan, dark-haired guy who lived across the hall. He was the kind of guy whom every girl liked and every guy wanted to be. He paid a lot of attention to me. We spent time together and got to know each other pretty well—or so I thought. We were well into the college semester. I was confident in my friendships, and I decided that it was time to come clean about being Catholic. In fact, I thought Nick might be impressed to discover that I was a Christian girl with values. “I’m going to church,” I responded, batting my eyes. Needless to say, Melanie was crushed. But the experience finally woke her up to reality. After a few hours of crying and reassessing her life, she vowed to renew her friendship with Jesus and to be open about it with ALL her earthly friends—like Matthew was with his. And finally, I noted that Matthew desperately wanted his old friends to meet Jesus, his new friend—and that this was why he hosted the dinner party at his house immediately after his conversion. That’s one way of saying that after his conversion Matthew became very intent on evangelizing the people he knew and loved. Are you as intent on evangelizing your friends? You should be, if your friendship with the Savior of the world is indeed the most important and most meaningful relationship in your life. In this regard, when teenagers tell me that they’re not going to a Steubenville East Conference or to a Youth 2000 retreat because “I already went, Father Ray; I already had my experience with Jesus,” I flip out! That’s what Matthew would have done. No doubt about it! What kind of friend are you? Are you a friend like Matthew? St. Matthew, great apostle and great friend pray for us, that we will learn from your example and cultivate good, Christ-centered friendships in our lives.